Bob has been entertaining Elvis fans for years, all over the world including Las Vegas, Branson, Montreal, New York City and Memphis. He's won countless awards for his portrayal of The King wand was voited one of the top 25 Elvis impersonators in the world at "Images Of the King 2004" in Memphis. He's made TV in both the U.S. and Canada, and has been featured in articles in the Miami Herald, Palm Beach Post, and Sass Magazine. As an entertainer, Bob does a wide range of songs from the 50's to the 70's. His outfits are exact replica's of Elvis's, including the "68 Comeback Special" leather outfit, the "Aloha From Hawaii" Eagle jumpsuit, "Jailhouse Rock" and more. 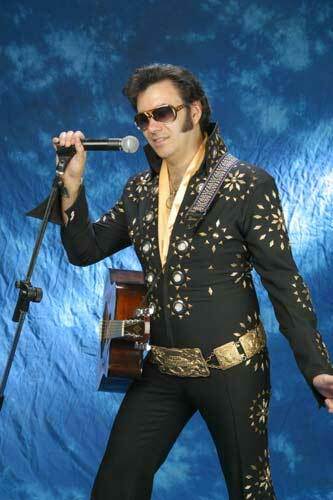 His highly energetic and fun shows give the audience an authentic recreation of an Elvis concert. 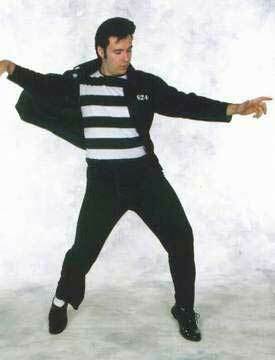 Bob helps keep the Elvis mystique alive through his music, graciousness, and audience appeal.